ROME --- Leonardo and Polska Grupa Zbrojeniowa S.A. (PGZ) signed a Letter of Intent (LoI) that will see the two companies collaborate on the AW249, the only new combat helicopter currently being designed, aiming to meet the Polish Army’s requirement for a new combat helicopter. Thanks to this collaboration, Poland’s defence industry will have the unique opportunity to participate in a brand-new helicopter development programme, while at the same time contributing to the modernization plans of the Polish Armed Forces with a new state-of-the-art platform. Leonardo and PGZ have an established dialogue on defence and security industrial cooperation, with multiple agreements signed in 2016, 2017 and 2018. The aim of these agreements is to strengthen cooperation between the PGZ Group and Leonardo, particularly in relation to the helicopters offered by Leonardo to the Polish Ministry of Defence. 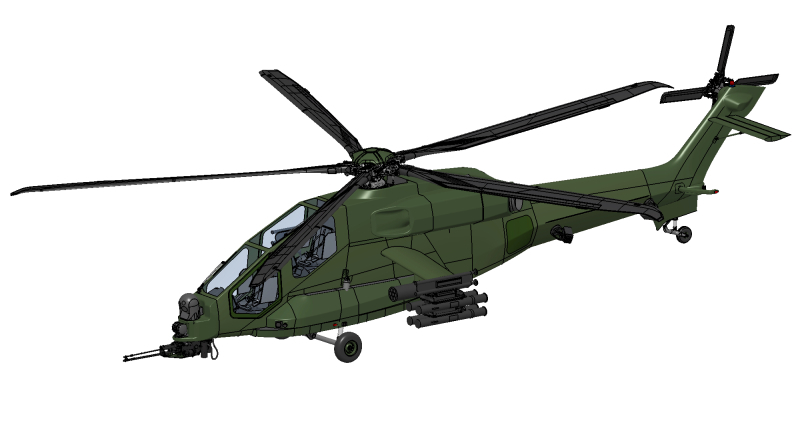 Should Leonardo be selected by the Polish MoD for the new helicopter requirements, companies in the PGZ Group will take part in the manufacture and servicing of helicopters. Leonardo signed a multiyear contract with the Italian Ministry of Defence in January 2017, aimed at meeting the requirement of the Italian Army to replace the current fleet of AW129s, which are expected to be retired from service by 2026 following over 35 years in operations. It will allow the service to introduce an even more technologically advanced product, with greater performance and lower operating costs, to meet arising needs in evolving scenarios for the next 30 years.